Parents interested to admit their wards in Nursery One may please see the Notice Board in the Third week of September. Parents intending to admit their wards in any class higher than Nursery – I but lower than Class VIII are to see the Notice Board in the last week of September. Municipal Birth Certificate / Panchayat Certificate (Attested Photocopy). 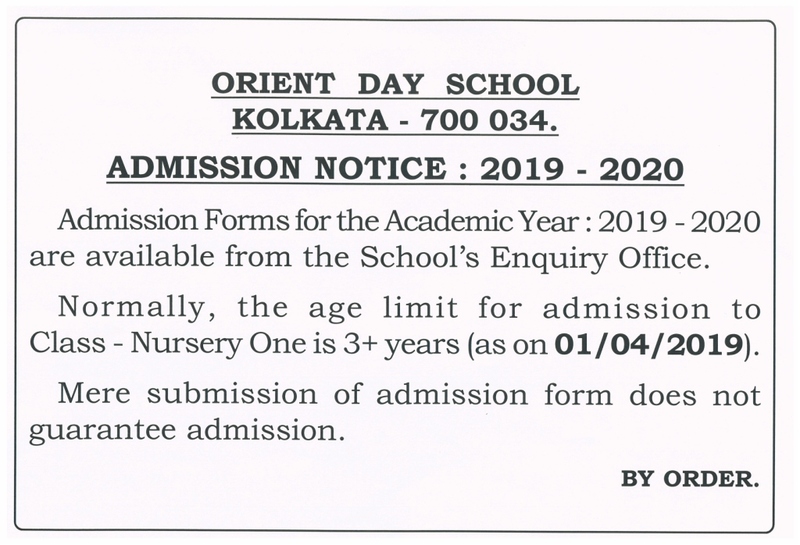 Mere submission of application does not guarantee admission. A student seeking admission in any class from Classes ONE to Class EIGHT, must have to produce attested photocopy of the REPORT CARD of the last examination at the school where the student is presently reading, as and when required, failing which the admission may be cancelled. Students seeking admission in Class ELEVEN may be given provisional admission after completion of the ICSE, 2016 Examination and subject to PASSING ICSE, 2016 EXAMINATION. In cases of the unsuccessful candidates at the ICSE Examination, the admission will automatically be cancelled and the question of refund of fees shall not arise. 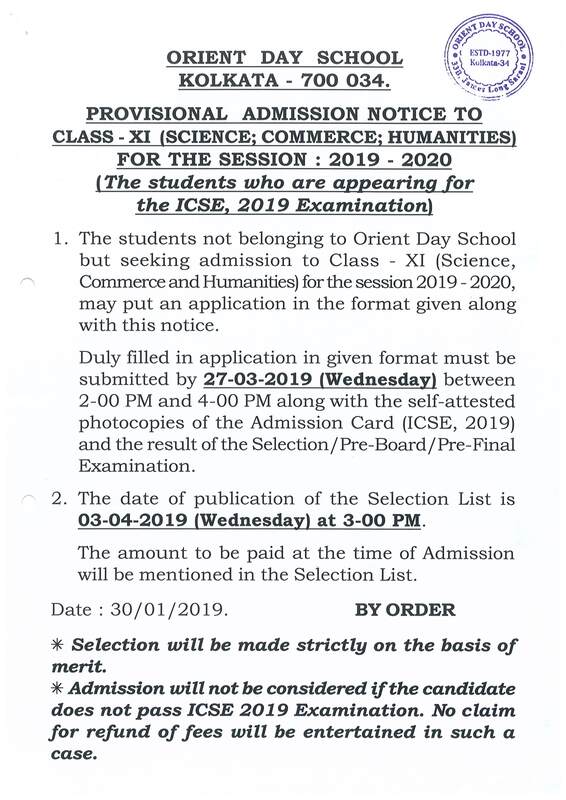 At the time of submitting Admission Forms, the applicant (student) must enclose photocopies of the Rep011 Card of the Selection/ Pre-Selection Examination and the Admission Card of the ICSE, 2016 Examination. Immediately after the publication of ICSE 2016 Examination results, the successful candidates already admitted to Class Eleven in this School, must produce two attested photocopies of the ICSE Mark-Sheet.